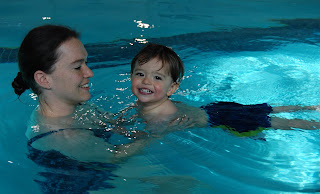 We had our first swimming lesson today. It was fun! The boy woke up cranky and didn't get over it until the class was almost over, but after it was over we did hang around and splash a while.